The Sunday funny pages often utilize a number of different layouts. 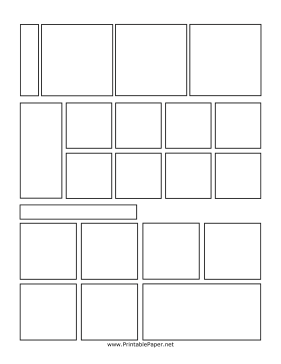 This blank comics page offers a selection of different templates for you to choose from. You can even make your own series of comics using this sheet!